I came across this intriguing blog called Movies in Frames via Kottke.org today. It has a plethora of various movies that the contributors have summed up (or at least attempted to sum up) in 4 frames. Some are not very effective, but some are. 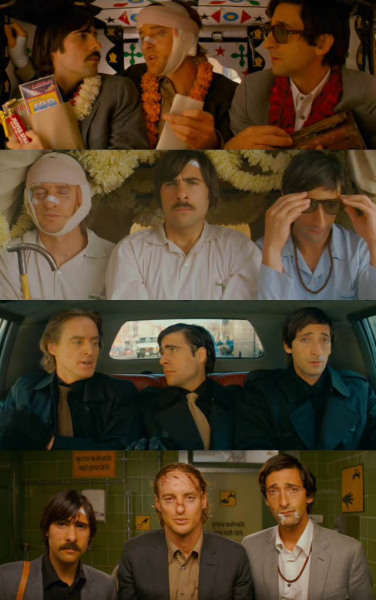 More visually-oriented films such as Heima, Little Miss Sunshine, and Darjeeling Limited work well. The one you see above is Stand By Me, which reminds me that I need to see this movie agian. Tonight is the night! The Camera Obscura show is finally happening. To my knowledge, they’ve never played Nashville before, and it’s LOOOONG overdue. I can’t wait. If you like melancholy yet catchy twee pop… or if you like Scottish accents… by all means come to this show! You won’t regret it. Their show a couple years ago at the 40 Watt in Athens was one of the best shows I’ve ever seen. Mercy is no 40 Watt (sorry Drew/Bruton), but this is probably the best venue for them to play in town. They’ve also been tweeting about Nashville since they arrived yesterday. Follow them. The Opryland Hotel started a new summer weekly event last year Friday nights called “Poolapalooza” featuring local bands, the Cascades pool, and a good bar. It went over pretty well from what I’ve heard (I never attended one), and I certainly hope Megan & I can make it out to one this summer. Check Nashvillest or the Gaylord Website for the full lineup/dates. Each event is free, 21+ all-ages (thx to Morgan for catching my error), and starts at 7pm. That means you can get wet, drink some margaritas, hear some rock, and be done in time to hit up another show later in the evening! Nashville Cream reports that 3 local fashion designers are finalists to be on the show Project Runway. As with most posts on there, there’s plenty of bickering in the comments. But it just wouldn’t be the Cream without them. I know Shea and Amanda, but I don’t know Shannon at all. What I do know is that everyone I’ve met involved with Local Honey and the local fashion scene is super-nice and very down-to-earth. I sincerely hope to see one of them on the show soon! Oh yeah… Meg White married Jackson Smith and “little” Jack Lawrence married Jo McCaughey in a double-wedding in Jack White’s backyard on Friday. Obviously Jack & Jo didn’t immediately embark on their honeymoon because we saw him at Fido on Monday. My only science-y bit today is to tell you to go sign the petition on the website for Space Exploration Day. This is an attempt to get the government to recognize July 20th as National Space Exploration Day. 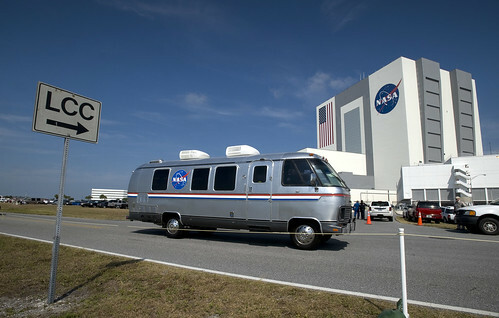 This July 20th will mark the 40th anniversary of the Apollo 11 moon landing. I whole-heartedly agree that this should be an officially-recognized holiday. Supposedly it will be on same level as Flag Day. Today I leave you with this hilarious little cartoon found at dontstaylong’s tumblr. So the new Camera Obscura album came out yesterday. You can stream My Maudlin Career in its entirety here. I arrived at Grimey’s eager to purchase it on vinyl last night, but alas, the vinyl isn’t out yet. C.O. is definitely one of those bands that needs to be listened to on vinyl. I refuse to own it on CD. They’d better include a digital download with the vinyl. That’s really the ONLY way to do vinyl these days. It’s absolutely absurd not to include a free download with a vinyl purchase. Yes the sound of vinyl is superior to an mp3, but still, people want to be able to listen to music in their cars, etc… and have it be portable on whatever digital media player they happen to own. It’s ESSENTIAL that labels realize this and I will be extremely pissed if 4AD doesn’t include a digital download with their vinyl offerings. It remains to be seen… I’m told the vinyl should arrive next week. I’m resisting the urge to just order it online because I feel guilty for not buying anything from Grimey’s in a while. Support your local record stores people! Not exactly sure how this video was done… but Matt & Kim went streaking through Times Square in their latest video. I guess it’s no big deal to block off Times Square for a video shoot so it’s technically not a crime for them to be running around naked. Or maybe they were wearing skin-colored skivvies underneath the black skivvies they removed… you can’t really tell since it’s pixel-blurred. Last night was the first ever Rock Circus at Mercy Lounge. I was invited to attend but could not. My body did not want me to do anything last night. I should have posted about it yesterday but it honestly slipped my mind. Team Illuminati, Vermicious K’nids and Rae Herring played, and there were also magicians, jugglers, and virtuoso pianists. It’s a whole new concept that’s the brainchild of Team Illuminati, and this one was promoted by Scenario Entertainment. They plan to do more of these shows in the future, including one on April 29th (a week from today) (update: the show on the 29th is a normal rock show being promoted by Scenario Entertainment, not a circus show) with the Telecommunicators– the side project of Matt Hungate from De Novo Dahl. (Though Telecommunicators started before he joined DND…) I hope to take some pics at one of these in the near future as it sounds like a lot of fun. When we think of natural distasters we usually think of things here on earth, but there’s something else out there that poses an unlikely but high-consequence danger… the sun. 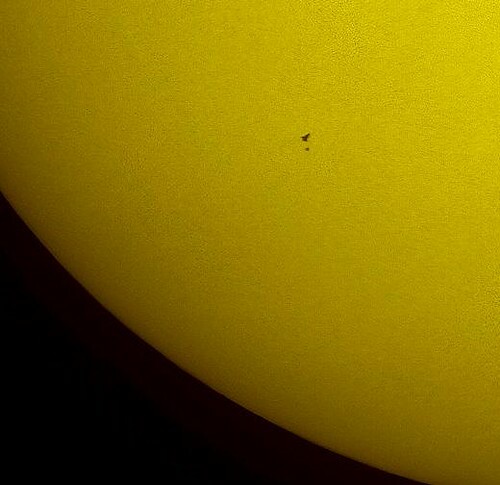 This huge star that is responsible for our existence also has the ability to wipe us off the face of the planet. That’s VERY unlikely in the next billion years or so, but if it decides to get angry and have an especially violent Coronal Mass Ejection (CME), it could knock out power grids and wreak havoc on satellite communications, which are VERY sensitive to these types of things. ABC.com has a great story with more info if you’re interested. Former astronaut Edgar Mitchell is a proponent of the government UFO cover-up conspiracy theory. It’s kind of sad that an astronaut is spouting about this, but it’s true. This CNN.com article reports on his recent appearance and UFO enthusiast convention. I happen to agree with his claim that there is life out there, somewhere. I fully believe that we will eventually find evidence of life on other planets, probably within my lifetime. But the probabilities of that life being SO advanced as to be able to travel much faster than light to get here and then crash into our deserts… I just have a hard time with that. And there’s still no hard evidence to prove otherwise. All we have are witness accounts and blurry, unreliable photos and video. Some of these sightings honestly don’t have a good explanation, but it’s too much of a stretch to say that just because we can’t explain them, they must aliens buzzing around in highly advanced spacecraft. Sure there are lots of things that the government keeps secret from the public, and I’m sure that they’re covering up something about what happened in Roswell in 1947, and in Kecksburg in 1965, and in all the other less publicized cases. I’d say it’s much more likely that it was some sort of top secret plane or technology that they didn’t want anyone to know about. 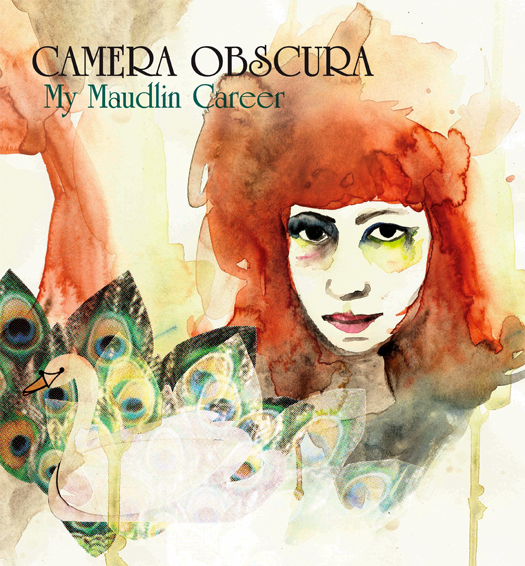 Today I leave you with this… yummmmm…..
My love for Camera Obscura is endless. You can imagine my delight when I found an email from their listserv in my inbox yesterday containing info about their brand-spanking new website and FREEEEE mp3 of the title track from the new album, My Maudlin Career. Oh thank you Tracyanne & Co. for finally giving me something new to latch onto. If this song is a good indication of what the rest of the album will sound like, then it will be everything I hoped for. This track is full of fluttering piano runs drenched in cavernous reverb that flirt with Tracyanne’s beautiful Scottish croon in the most perfect way. GET IT. LOVE IT. I don’t know how I missed out on Fruit Tree Music, the blog of my old college friend Jon Arnold for this long…. He does a lot of great audio production work with one of my all-time favorite electronic musicians, Matt Pusti, as well as the Protomen and many other great locals. The cool thing about it is that he posts clips from almost everything he works on. Check it out. I’ve recently discovered the blog Hipster Runoff. Their coverage of the Grammys is priceless. Just go. Apathy and snark. Snark and apathy. Looks like Abe decided to get a punk rock hairdo not long before his assassination. The image links to the Library of Congress’ flickr stream. Yes, the Library of Congress has a flickr. How cool is that? Via Kottke.org. Speaking of politics, unless you’ve been living under a rock, or aren’t from TN, then you know that the TN House of Representatives has been through some turmoil lately. Well, the Republicans finally decided to kick out Kent Williams, the guy who upset their plans for Jason Mumpower to become Speaker of the House, and an extreme conservative takeover. So we now have 49 democrats, 49 republicans, and Kent Williams. It could be worse? Via Nashville Is Talking. Now for some national political humor…. Clips taken out of context from Obama’s self-narrated audiobook version of Dreams From My Father. Via Yewknee. Just in case you didn’t know how incredibly unhealthy soft drinks are, read this article from Mercola.com. I don’t agree with everything this guy posts… in fact some of it is a little too “conspiracy theory” for me. And he’s somewhat of an antivaxxer (people who claim that vaccines cause autism- read more about them here), which is appalling, but some of the stuff on his website is good. Good news on the Large Hadron Collider. They expect it to be operational again in September and hopefully will start collisions in October. I really hope some ground-breaking discoveries happen as a result of this enormous and fascinating piece of technology. I’ve always wondered exactly how they create the yellow 1st down line in football TV coverage. It’s something I always think about while I’m watching a game, but never dig into later. Well, the wonderful kottke.org comes through again with a link to this fascinating explanation. I always knew it had something to with a chroma-key effect, so that it only shows up on the green grass as if it’s actually under the players. What I never could understand though, is how they keep the angle correct as the camera pans, zooms, etc…. This year’s Coachella lineup has been announced, and it’s pretty awesome. I actually really wish I could go this year. But with SXSW, the possibility of covering Bonnaroo again, and another summer trip with Megan, it ain’t gonna happen. Interestingly, it’s Paul McCartney’s 1st festival appearance in the US. Via Pitchfork. Still waiting to see if the big rumor about Phish playing Bonnaroo is true. If you know me, you know that I absolutely LOVE LOVE LOVE LOVE Camera Obscura. You’ve probably heard me get all giddy about the time I saw them in Athens at the 40-Watt and got to meet Tracyanne Campbell (and buy her a drink!). Well, they have a new album coming out soon, and they’re playing SXSW. Of course, since I probably won’t have a badge when I go, I probably won’t get to see them, but who knows what will happen? I’m just really really happy that they worked with the same producer as their last record Let’s Get Out of this Country, Jari Haapalainen. He did wonders with that album, and matched just the right amount of lush production to their style. I’m really anxious to hear what he’s done with them on the new one. I’m also really anxious to see their US tour schedule. I have no clue if they’ll flesh out a bunch more dates around their SXSW appearance and the lone other US date on their current calendar- Mar 24th at the Bell House in Brooklyn. I don’t see why they wouldn’t. It looks as though Mount Redoubt in Alaska is about to blow its top. The last major eruption for the active volcano was in 1989, and scientists says this eruption could be about the same or a little less intense than the last one. Luckily it’s not close to any heavily populated areas, and the small towns close enough to recieve some of the ash will just have to deal with it, but it shouldn’t cause any huge problems. Not much to report on this looming winter storm coming monday and tuesday. The weather service hasn’t changed its forecast much, but I can see that the latest model runs show a slightly weaker storm than before, but there’s still a lot of time, and the models will probably change their minds several times. They just aren’t very reliable more than a day or two out, especially when dealing with these fickle winter systems.